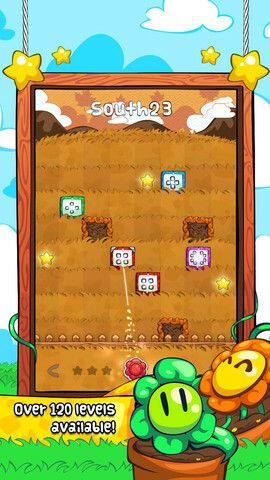 Bloom Box is a fun iPhone game developed by Nexx Studio. 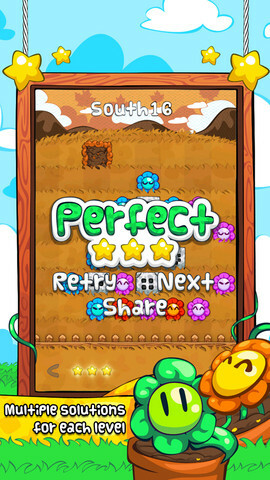 Sorry Android fans: this massively addictive title is an App Store-only game for the time being. 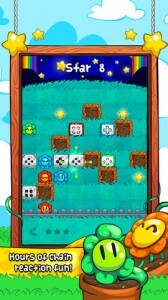 In the world of mobile game, few game genres are as satisfying or as addictive as the “chain reaction” puzzle. There’s just something so awesome about setting up massive chain reactions, and Bloom Box does not disappoint in that area. The gameplay itself is simple. All you need to do to move on to the next level is blow up some boxes! You use the flower attached to a fuse to “pollinate” other flowers. 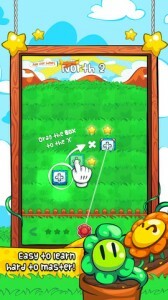 You will need to use your noodle to find the best way to organize your boxes. 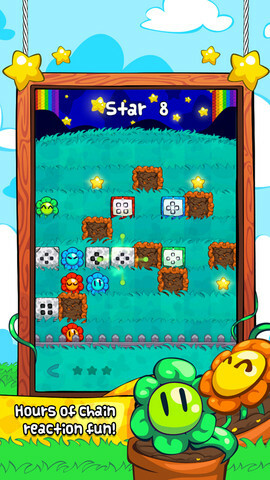 I find a lot of App Store games have really heavy-handed, annoying tutorials that just go on and on and on. Bloom Box actually has a great tutorial that’s just the right length and doesn’t make you bored with the game before you’ve even had a chance to start playing. 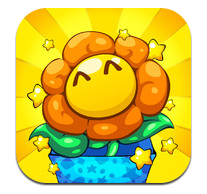 Boasting 25 unlockable achievements, a great tutorial, and 120 levels across 4 gardens, Bloom Box has a lot to offer this soon after its initial release. If you like games that are both expansive and high on replay value, you can’t really go wrong here. Plus, the latest update includes bug fixes and a solution for those who were experiencing crashes when playing on an older device. The current price is a 50 percent off promo for the release. This price will only be in effect for a limited time, so if you’re a bargain hunter, now would be the best time to pounce on Bloom Box. 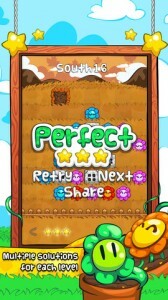 This game is tons of fun, and quite massive in terms of number of available levels. Grab it now! 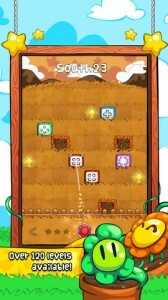 Bloom Boxis compatible with iPhone, iPod touch, and iPad. Requires iOS 4.3 or later. This app is optimized for iPhone 5.